Leak Doctor provides fast and non-invasive leak detection and repair services for residential properties in Lakeland, Central Florida, and the greater Atlanta area. 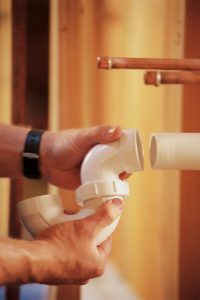 Our experienced technicians use advanced technology to quickly identify the source of your leak and, as licensed plumbers, we have the training, skills, and tools needed to repair your leak on the spot. Even a small water leak, especially one you can't see, can create a health hazard and serious damage to your property, if left on its own. With over 30 years of experience, the Leak Doctor has earned the reputation of Central Florida's and Atlanta's best. We provide hands-on service for every aspect of your leak and have cost-effective, real-time solutions to your leak problems. Upfront Pricing: The Leak Doctor doesn't have any hidden charges. We take pride in offering realistic estimates, we give our customers the best quality and affordable prices. We have state of the art equipment and expert technicians to detect and repair any water leak. Availability: The Leak Doctor is available 24 hours, 7 days a week for any emergency, nothing is too small or big for our wide range of services. Family Friendly: The Leak Doctor is a family who understands busy schedules and accommodates your needs. If you have a leak, the last thing you want is costly digging and guesswork repair. The Leak Doctor has state of the art equipment such as precision electronic devices, advanced thermal imaging, smoke test, cameras and video inspection equipment. Jackhammers and bulldozers should always be the last resort! As we solve your water leak issues, we know you will be impressed with The Leak Doctor's fast response, strong reliability and constant commitment to courtesy. We provide unmatched quality in the most cost-effective manner. As a homeowner, have you noticed that your water bill has gone up since last month, or have you spotted a water puddle on your floor? Are you concerned that your home may be in danger from a leak, but you're not sure what is going on or where the water is coming from? Leak Doctor can quickly determine whether or not you actually have a leak, can pinpoint exactly where your leak is, and provide professional repairs from a licensed plumber. When you contact Leak Doctor, we will come out as quickly as possible, 24 hours a day, 7 days a week, to ensure that the damage to your property is minimized. If you have noticed any of the above warning signs, it's important to detect the source of the problem as soon as possible. 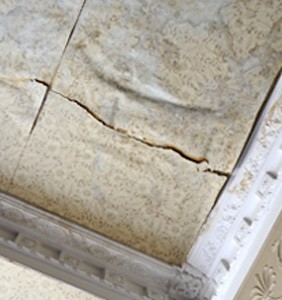 Water leaks can cause significant damage to your home and can quickly worsen if not repaired. It's important to react quickly to leaks since water damage can quickly lead to structural problems and pose a safety threat to your loved ones or employees. Mold is not always visible and can live anywhere there is moisture. This unnoticed health threat can cause significant ailments and respiratory problems. Leak Doctor can locate your water leak and minimize the damage to your home or building. It is better for you, the customer, to have a specialist pinpoint the problem before excavation. The cost of pursuing a leak with a jackhammer or sledgehammer without our help far outweighs Leak Doctor's fee for locating the problem. How Do We Find Leaks So Fast? 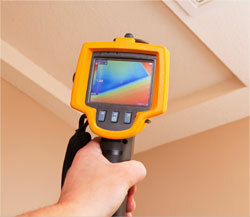 Your leak will be located using a combination of several electronic leak detectors. Leak Doctor uses cutting-edge technology that combines equipment and techniques developed in-house with the best training available. Equally important is the experience of our technicians, who receive continuous hands-on training at our state-of-the-art training facility. "Very professional & was the only repair person to cover his shoes when coming in the house. I really appreciated that." "Have used a couple of times-- most recently for a very small under slab leak. He didn't give up until he found and fixed. Have been well pleased." "Very pleased. The tech was very informative as to what he was doing. Extremely impressed how quickly he found the leak. Our water bill was $180.00 and after the repair, it went back down to $20.00 where it was normally. Thanks again." The Leak Doctor can find your leak and fix it fast! Call us today at (407) 426-9995 or use our quick and easy contact form to schedule your inspection. We service Orlando, The Villages, Tampa, Daytona Beach, Winter Park and the surrounding Central Florida area, in addition to the greater Atlanta, Georgia area. The contents of this webpage are Copyright © 2019 Leak Doctor. All Rights Reserved.